Congratulations! You've clicked on a picture and found this page. Only those who are clever enough will know that Every Picture Tells A Story. 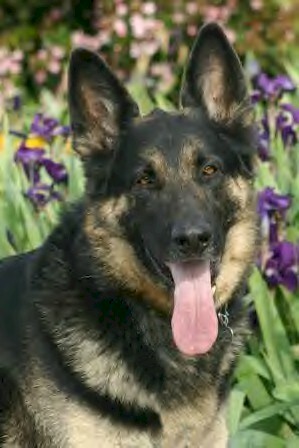 The dogs and photos that decorate our website are all of our program dogs or our own dogs. No stock photos (other than those supplied by our sponsors, of course) have been used. No professional photographers were harmed in the creation of this website. Tahoe belonged to Miz, one of the founders of GCGSR. He was Ambassador Extraordinaire at many events, always the perfect gentleman, and kind to everyone he met, animal or human. Tahoe lived with Miz his whole adult life. 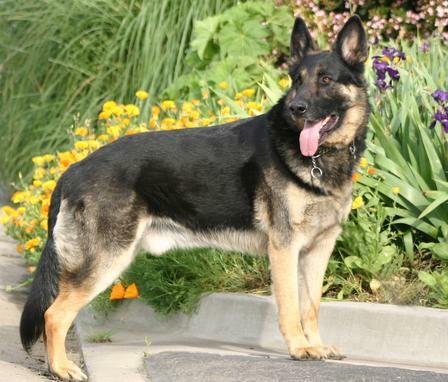 He was adopted from Sacramento SPCA in October 2000, at around 18 months old, and passed away just shy of 12 years old in December 2010, having helped foster over 100 German Shepherds that came through rescue. Always the calm, dignified and unquestioned alpha in the pack, he is still greatly missed. October is time to bring out the Dogs In Hats! These clever canines were created to decorate a flyer for a HowlOWeen party we had in October of 2008. The Dogs in Hats have gone back into the closet until next year. 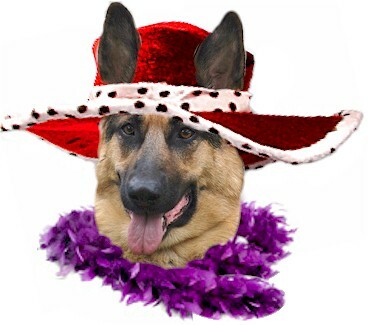 If you want to peek inside the closet, you can still see them on their own Dogs In Hats page! © 2017 Greater California German Shepherd Rescue.